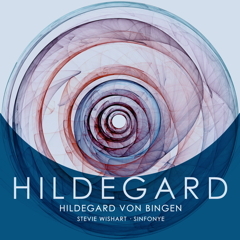 Originally created as a concept-CD for Decca under their title "Hildegard" to commemorate Hildegard's canonisation in Rome in 2012, this is also large-scale Vespers of original compositions by Stevie Wishart for concert and semi-liturgical performance. 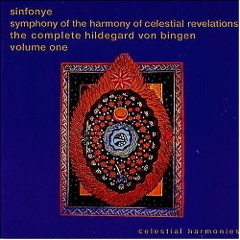 This was the debut recording of Sinfonye and was very much admired at the time of its first issue. 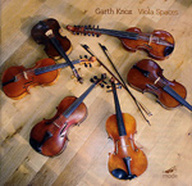 The reissue on Helios quotes two of its earlier reviews – ‘Surely one of the most memorable and touching recitals of the decade’ (The Independent) and ‘A fantastic record. 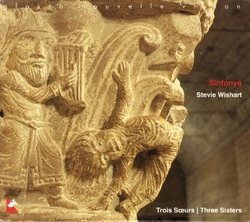 Buy it’ (Early Music News). I have no difficulty in sharing such enthusiasm almost twenty years later. It is a CD which has stood the test of time very well. Fashions in performance style come and go – nowhere more so than in medieval music – but performances of such power as these survive all such considerations. The feasts of Christmas were particularly rich in subject and imagery and gave rise to some of the most captivating music from medieval England, with joyous salutations to Mary and the Angel Gabriel, as well as more intimate songs of the nativity. 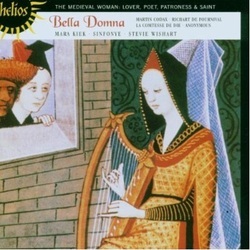 The cult of Mary seems to have been as real as the courtly domna of the troubadours, and for English song-writers she stands supreme over the Christ-child and all the other figures of the Christmas story. 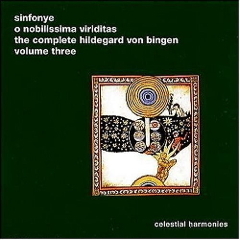 This first of four volumes of The Complete Hildegard von Bingen collection introduces listeners to a remarkable woman ahead of her time.